February 23, 1663, 3:45 LMT, London, England. (Source: speculative per Marc Penfield) Died May 26, 1703, London, England. "Strange to see how a good dinner and feasting reconciles everybody." "Saw a wedding in the church. It was strange to see what delight we married people have to see these poor fools decoyed into our condition." "Did satisfy myself mighty fair in the truth of the saying that the world do not grow old at all, but is in as good condition in all respects as ever it was." "But Lord! To see the absurd nature of Englishmen, that cannot forbear laughing and jeering at everything that looks strange." , (23 February 1633 - 26 May 1703) was an English civil servant and Member of Parliament, most famous for the diary which he wrote between 1660-1669. The diary is a fascinating combination of personal revelation and eyewitness accounts of great events, such as the Great Plague and the Great Fire of London. Pepys was born in London in 1633, the son of John Pepys, a tailor, and Margaret (nee Kite, sister of a Whitechapel butcher). 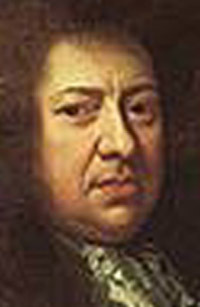 His father's first cousin, Richard Pepys was elected M.P. for Sudbury in 1640, and appointed Baron of the Exchequer May 30, 1654, and Chief Justice of Ireland, September 25, 1655. Educated at St Paul's School, London, c.1646-1650, attended the execution of Charles I in 1649. In 1651 he entered Magdalene College, Cambridge, taking his Bachelor of Arts in 1654. Some time later that year or early in 1655, he entered the household of another of his father's cousins, Sir Edward Montagu who would later be made 1st Earl of Sandwich. The same year he married Elisabeth Marchant de St Michel, the descendent of French Huguenot immigrants, first in a religious ceremony on October 10, 1655, and later in a civil ceremony on December 1, 1655 at St Margaret's, Westminster (religious ceremonies were not legally recognised under the Interregnum), the couple celebrating the former date as their anniversary. On 1 January 1660 Pepys began to keep a diary. 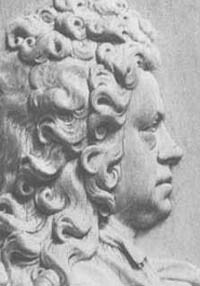 In April and May the same year he accompanied Montagu's fleet to Holland to bring Charles II back from exile. At the end of June he was appointed Clerk of the Acts to the Navy Board. He spent the next few years learning the business of naval administration, and gradually became an important and influential member of the establishment. He lived, worked, and wrote his diary through a number of significant historical events including: the Second Dutch War of 1665-1667, the Great Plague of 1665, and the Great Fire of London of 1666. On several occasions in 1667 and 1668 he appeared before a select committee of Parliament to defend the record of the Navy Board and to argue for sufficient funds to maintain the fleet. Throughout the period of writing the diary his health, particularly his eyesight, suffered from the long hours he worked. At the end of May 1669 he reluctantly concluded that for the sake of his eyes he should stop writing completely, and from then on only dictate to his clerks, which meant that he could no longer keep his diary. He and his wife took a holiday to France and the Low Countries from June to October 1669, but on their return Elisabeth fell ill and died on 10 November 1669. Pepys erected a monument to her in the church of St Olave's, Hart Street in London. In 1673 he was promoted to Secretary to the Admiralty Commission and elected M.P. for Castle Rising, Norfolk. In 1676 he was elected as Master of Trinity House, and at the beginning of 1679 was elected as M.P. for Harwich. By May of that year he was under attack from his political enemies. He resigned as Secretary to the Admiralty and was imprisoned in the Tower of London on suspicion of treasonable correspondence with France. He was released in July, but proceedings against him were not dropped until June, 1680. In 1683 he was sent to Tangier to assist Lord Dartmouth with the evacuation of the British colony. After six months service he travelled back through Spain, returning to England on 30 March 1684. In June 1684, back in favour once more, he was appointed King's Secretary for the affairs of the Admiralty, a post he retained after the death of Charles II in February 1685 and the accession of James II. From 1685 to 1688 he was active not only as Secretary for the Admiralty, but also as M.P. for Harwich. He was a loyal supporter of James II. When James fled the country at the end of 1688, Pepys' career also came to an end. In January 1689 he was defeated in the parliamentary election at Harwich; and in February, one week after the accession of William and Mary, he resigned his secretaryship. From May to July 1689, and again in June 1690, he was imprisoned on suspicion of Jacobitism; but no charges were ever successfully brought against him. After his release, aged 57, he retired from public life. Ten years later, in 1701, he moved out of London to a house in the country at Clapham, where he lived until his death on 26 May 1703. He had no children but bequeathed his estate to his nephew, John Jackson. As well as being one of the most important civil servants of his age, Pepys was a widely cultivated man, taking a learned interest in books, music, the theatre, and science. He served on a great many committees and public bodies. • He was M.P. for Castle Rising, Norfolk and for Harwich. Although also elected as M.P. for Sandwich he was contested and immediately withdrew. Most of these constituencies had connections with his relative Sir Edward Montagu. • Also through Montagu, he was involved in the administration of the short-lived British colony at Tangier. He was appointed to the Tangier Committee in 1662 when the colony was first founded, and became Treasurer in 1665. He resigned in 1679, but in 1683 went out as secretary to Lord Dartmouth's expedition to evacuate and abandon the colony. • He was elected a Fellow of the Royal Society in 1665 and served as President from December 1, 1684 to November 30, 1686. The frontispiece of Isaac Newton's Principia Mathematica was published in this period, and as a result bears Pepys's name. • He was admitted as a Younger Brother of Trinity House in 1662, and as an Elder Brother in 1672. He served as Master from 22 May 1676 to 26 August 1689. • From 1676, he was a Governor of Christ's Hospital school, and was involved in setting up the mathematical school there. He served as Governor for many years and was rewarded for his service in 1699 by being made a freeman of the City of London. His contemporary John Evelyn remembered him as "universally beloved, hospitable, generous, learned in many things". Pepys' character seems encapsulated in his Latin motto mens cujusque is est quisque, which can be translated as "Each man's mind is who he is" or, more poetically, "The mind is the man". Pepys was a lifelong bibliophile and carefully nurtured his large collection of books, manuscripts, and prints. At his death there were more than 3,000 volumes, including the diary, all carefully catalogued and indexed; they form one of the most important surviving 17th-century private libraries. There are remarkable holdings of incunabula, manuscripts and printed ballads. Pepys made detailed provisions in his will for the preservation of his book collection, and when his nephew and heir John Jackson died in 1723, it was transferred intact to the Pepys Library at Magdalene College, Cambridge, where it can still be seen. The bequest included all the original book cases and his elaborate instructions that "the placing as to heighth be strictly reviewed and, where found requiring it, more nicely adjusted". Amongst the most important items in the Library are the original bound manuscripts of Pepys' diary. Although it is clear from the content that they were written as a purely personal record of his life and not for publication, there are indications that Pepys actively took steps to preserve them. Apart from the fact that he wrote his diary out in fair copy from rough notes, he also had the loose pages bound into six volumes, and catalogued them in his library with all his other books, and must have known that eventually someone would find them interesting. The diary was written in one of the many standard forms of shorthand used in Pepys' time, but by the time that the college took an interest in the diary, it was thought to be ciphered. The Reverend John Smith was engaged to transcribe the diaries into plain English, and he laboured at this task for three years from 1819 to 1822, apparently unaware that a key to the shorthand system was stored in Pepys' library a few shelves above the diary volumes. Smith's transcription (which is also kept in the Pepys Library) was the basis for the first edition of the diary, published in two volumes in 1825. A second transcription, done with the benefit of the key, but often less accurately, was completed in 1875 by Mynors Bright, and published in 1875–1879. Henry Wheatley, drawing on both his predecessors, produced a new edition in 1893–1899, revised 1926, with extensive notes and an index. The complete and definitive edition, edited and transcribed by Robert Latham and William Matthews was published in nine volumes, plus separate Companion and Index volumes, between 1970 and 1983. Various single volume abridgements of this text are also available. Pepys recorded his daily life for almost ten years in breathtaking honesty; the women he pursued, his friends, his dealings are all laid out. His diary reveals his jealousies, insecurities, trivial concerns, and his fractious relationship with his wife. It is an important account of London in the 1660s. Included are his personal account of the restoration of the monarchy, the Great Plague of 1665, the Great Fire of London of 1666, and the arrival of the Dutch fleet and other events of the Second Anglo-Dutch War (1665–1667). His job required that he meet with many people to dispense monies and make contracts. He often laments over how he "lost his labour" having gone to some appointment at a coffee house or tavern, there to discover that the person he was seeking was not within. This was a constant frustration to Pepys. The diary similarly gives a detailed account of Pepys' personal life. He liked wine and plays, and the company of other people. He also spent a great deal of time evaluating his fortune and his place in the world. He was always curious and often acted on that curiosity, as he acted upon almost all his impulses. He was passionately interested in music and he both composed, and sang & played for pleasure. He taught his wife to sing, and paid for dancing lessons for her (although these stopped when he became jealous of the dancing master). He had a rather Puritan outlook on life, and periodically he would resolve to devote more time to hard work instead of leisure. For example, this entry on New Year's Eve, 1661, "I have newly taken a solemn oath about abstaining from plays and wine..." The following months reveal his lapses to the reader as by 17 February "And here I drank wine upon necessity, being ill for the want of it." The diary gives a detailed account of the pattern of Pepys' life. His characteristic closing sentence was: "And so to bed." Summary: In his day was famous as a politician, the great reformer of the Royal Navy and a friend to Charles II and James II; today, he is remembered as England's great diarist. Family: Elizabeth Marchant de Saint-Michel, Wife 1655-1669. Childhood and Youth: was born into the family of a London tailor in 1633. After schooling in Huntingdon during the Civil War, Pepys went to St. Paul's School in London and then, thanks to a scholarship, to Magdalene College Cambridge in 1651. He graduated in 1654 and became a secretary of his cousin, Edward Montagu, a Parliamentarian commander and politician with growing royalist sympathies. In 1655 Pepys married Elizabeth Marchant de Saint-Michel, a fifteen-year-old Huguenot refugee from France. Early Career: In 1659 Pepys became a clerk in the Exchequer under George Downing - shortly after, he began writing his famous diary (discussed here) – but it was as his cousin's secretary that Pepys sailed with the fleet that brought Charles II back to England. 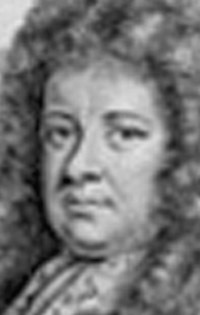 It was also thanks to Montagu that Pepys was appointed Clerk of the Acts of the Navy, a post with a fair salary and a residence in the Navy office. For two years Samuel simply enjoyed the lifestyle his appointment brought. The Navy: In 1662 Pepys, who initially knew nothing of the navy, resolved to pursue his new duty as best he could. There followed a period of intense learning on all aspects of the 'senior service' (shipbuilding, stores, organisation) followed by years of dedicated work. His ability was proved during the Second Dutch War and in 1673 he was appointed Secretary for the Admiralty, the administrative head of the British Navy. He held this post for much of the next fifteen years. Pepys fought Parliament for money, obtained a commission 'for the Recovery of the Navy' and became First Sea Lord when the Duke of York was barred by Parliament. He doubled the number and strength of England's ships, cut corruption, reformed the structure and discipline of the ranks and established the Royal Navy as the world's greatest armada. Britain had claimed to rule the waves for decades, but made the legend real. His legacy would affect Nelson and live on until World War One. A Full Life: To campaign better for the Navy's interests became an MP, first for Castle Rising in 1673 and then for Harwich in 1679; by all accounts he was an effective campaigner for his constituency. Pepys was also involved, in several capacities, in the short-lived Tangiers colony, was president of the Royal Society, acted as master of Trinity House and found time for several extra-marital affairs, although his wife died on November 10 1669. There were no children. Royalty And Enemies: Pepys' role allowed him to meet and become a trusted servant and confidante of both Charles II and his brother James, who in 1685 became England's last Catholic king. Unfortunately, Pepys' drive to reform and his friendship with both royalty and Catholics created enemies. One of these struck in 1678: Lord Shaftesbury tried to implicate Samuel, first in a murder plot and then in the selling of English secrets to France. Pepys was forced to resign his post and spend time in The Tower of London. He managed to clear his name and escape execution thanks to a long gap between Parliaments, but Charles II couldn't recall him to government until 1683. Samuel's loyalty to the Stuarts caused problems again in 1689, when James II was deposed in favour of a Protestant monarch. 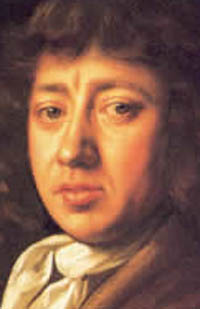 Pepys was too closely associated with James to survive in public life and, after losing Harwich, resigning from the Admiralty and being imprisoned twice for suspected Jacobitism, he retired. Retirement and Legacy: Pepys was retired in a way many people are employed. He kept up correspondence with many of the great minds and thinkers of the age, collected and catalogued a three thousand volume library which survives intact at Cambridge University and planned to write a history of the English navy. He died, childless, on May 26 1703. Between 1659 and 1669 this famed naval reformer and suspected Catholic sympathiser kept a diary, a personal account, in shorthand, which only he was ever meant to see. When he died it went to Cambridge with the rest of his papers and was first deciphered in the early nineteenth century. Without this diary, Pepys would have become a minor figure in the grand scheme of British history, but the account has so captured the public imagination and benefited historians that Pepys is famous world over, not for anything to do with ships, but for his private writing. Detailed and intimate, Pepys' diaries became a mainstay of British literature after their first publication in 1825. Pepys was educated at Magdalen College, Cambridge, and spent most of his career working in the British Admiralty; he also served as a Member of Parliament for three different terms between 1673-89. For 10 years, from 1660-69, Pepys kept an extraordinary diary, with running commentary on his daily rounds, his meals, his health, even his relations with his wife. Pepys never intended the diaries for publication, and he wrote them in an unusual shorthand which kept them from being read for many years. When the diaries were published in 1825, they were hailed as an intimate glimpse at life in the Restoration-era England. (His meticulous frankness was such that some of the more impolite details were omitted from publication until the 20th century.) Particularly famous are his firsthand accounts of the coronation of King Charles II and the Great Fire of London. His name is pronounced peeps... Pepys was imprisoned in the Tower of London for six weeks in 1679 after being accused of involvement in the Popish Plot... Upon his death Pepys left his personal 3000-volume library to Magdalen College... Pepys' unusual shorthand is often called a "secret code," but in fact was his own version of an existing system called the Shelton shorthand.